Maurice White, legendary funk and soul singer, and founder of the group Earth, Wind, & Fire, has passed away. He was 74. White's brother Verdine, also of EWF, released a statement to the Associated Press today, saying "My brother, hero and best friend Maurice White passed away peacefully last night in his sleep. While the world has lost another great musician and legend, our family asks that our privacy is respected as we start what will be a very difficult and life changing transition in our lives. Thank you for your prayers and well wishes." White had been suffering from the effects of Parkinson's Disease. Originally diagnosed with the neurological disease in the late eighties/early nineties, it wasn't until around 2000 that he went public with his health struggles. He hadn't toured regularly with EWF since the mid nineties. 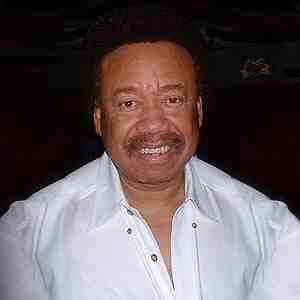 Earth, Wind, & Fire was founded by Maurice White in 1969. Since then, they've inspired many in, around, and outside the industry, selling more than 100 million records along the way. Maurice White will be terribly missed. Rest in peace Maurice White.